If you ask 20 experts this question, you’d most likely get 20 different answers. That is because there is no real standard on what “Superfood” really means. To me a superfood is a compound that contains a high amount of different nutrients (phytonutrients, enzymes, vitamins, minerals) and that also has health benefits. In other words, these are foods that make you look and feel SUPER! Check out the video below to learn about these 10 Superfoods you should eat every day. So tell me, which ones of these superfoods do you consume every day? Which one are you most likely to try next? Leave a comment below and share this video with all your friends. Are you looking for healthy ways to lose weight? Americans spend a whopping $30 billion per year on diet products, many of which don’t even work. A better way to get real weight-loss results? Go grocery shopping. Dozens of foods, from kale to kelp, that can help you fight hunger, kick your candy addiction, boost your metabolism-and ultimately shed pounds. And some of these Superfoods deliver health bonuses too. Here are my Top 10 favorite and best foods to lose weight fast! Which of these Superfoods are you most likely to use in your weight loss efforts? Which ones have you already used successfully? Hemp is a variety of the Cannabis sativa plant. But that’s not what we’re going to talk about here. Hemp is an ancient plant that has many industrial uses, from clothing, to accessories and even furniture making. It has been in use for hundreds of years in places like Japan, India and the middle east. But you can also obtain many health benefits from it by adding the seeds to your diet. Check out this video to learn how you can benefit from consuming hemp on a regular basis. Do you currently use hemp? If so, which way do you prefer it? If not, would you considering giving it a try? If so, you’re not alone. Most of us have or have had serious cravings for sugar (especially the refined, crappy kind) at one point of another. In a society that eats refined sugar by the pound, having regular sugar cravings can become a serious issue that may lead to obesity, diabetes, heart disease and more. Some research has indicated that sugar cravings are actually a form or addiction and a few doctors and scientists out there consider sugar to be toxic. How do you actually stop sugar cravings? So tell me, how much sugar do you currently consume? Are you ready to kick your sugar cravings to the curb? Which one of these tips are you most likely to implement TODAY? A few weeks ago I was sitting in a lounge in the Meatpacking District neighborhood in New York City with some awesome people, including my dear friend and client Jason. He was wondering if some of the basic questions that he’s had about his health and lifestyle were fairly common or if he was unique in his concerns. Many people have similar questions and are often bombarded with too much information that confuse them even more! If you are, check out this video. Jason agreed to ask me some of these questions in front of the camera, so that you too can benefit from the answers! DISCLAIMER: This video is a bit longer than my normal <5 minute videos and a bit darker too (thanks to some lighting issues). Bare with this because the information in it is TOTALLY worth it! In the comments below, tell me: which of these questions resonated with you the most? Which one of these pieces of advice are you most likely to implement today? Dark Chocolate: A Guilty Pleasure That’s Good For You! For many people, chocolate is a guilty pleasure. But its key ingredient, cocoa powder, has several health benefits, especially when used as a supplement. Eaten in small amounts, this indulgence can have positive effects on the immune and cardiovascular systems and boost your mood. Are you a serious choco-holic? Have you tried dairy-free, chocolate bars? The US has about 5% of the world’s population but uses 25% of the world’s energy. How can you lower your carbon footprint with eco-friendly eating habits? Check out this video to learn how! Let me know by leaving a message below! Want To Lose Weight, Feel Great And Look Hot? SLEEP! Do you wake up feeling refreshed, energized and ready to take on the day? If you AREN’T, you need to watch this video. If you ARE, you need to SHARE this video with the estimated 50% of the North American population that is not! Check out these great tips to help improve the quality of your sleep! How many hours to you sleep? Are you getting high quality sleep? Chlorophyll, the stuff that makes plants green, is amazing! Filled with nutrients and easy to obtain from plants and in liquid supplement form, it would be a sin not to take advantage of it. Check out this video to find out about the wonders and benefits of chlorophyll and the best way to have it every day! 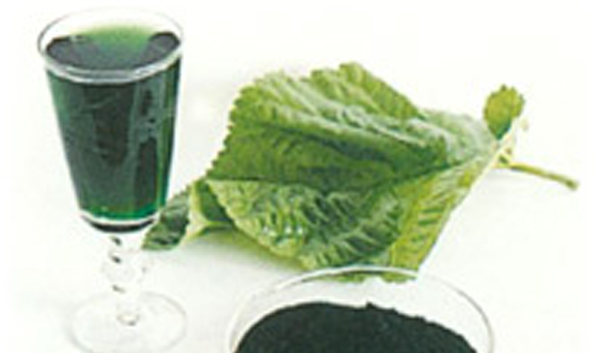 Have you tried liquid chlorophyll supplement before? If you haven’t, give it a try and let me know what you think! As you try to improve your health by changing your diet and including more whole foods, you will get the inevitable questions from some well-intentioned (for the most part) people questioning your new healthy choices. After hearing some of the CRAZIEST arguments and questions myself and through my clientele, I decided to write this post, to debunk some of the more prevalent myths about plant-based eaters. So, whether you are vegetarian, vegan or an occasional meat-eaters who still centers your diet around fruits, vegetables and whole grains, you might want to CHECK OUT THIS VIDEO to help you with the inevitable questions coming your way! Which one of these have you heard the most? 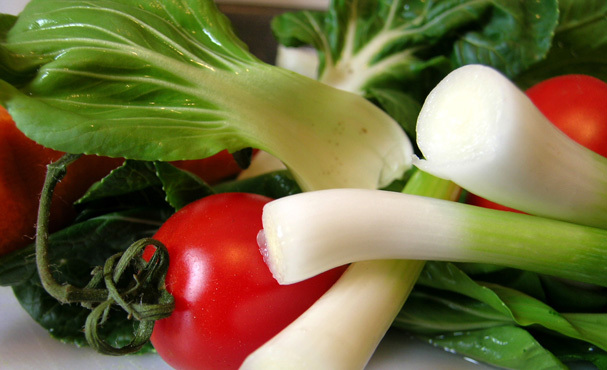 Have any of these helped you debunk your OWN myths about plant-based eaters? Are you as sad as I am that summer is almost over? I’m trying really hard to hold on to the last few warm days of the year :(. OK, on to today’s topic. Do you have a Health Bucket List? How about a list of health/weight loss goals? In my experience, these are the Top 10 Things everyone should have in their “HEALTHY BUCKET LIST” in order to ensure that all other “Bucket List” health items get accomplished. How many of these do you have in your bucket list? Add the rest to your list and SHARE this video with your friends, so they too can reach their health and well-being goals! Drink A Glass of Warm Water With The Juice Of 1/4 Lemon Every Morning! This is a very simple, easy-to-do routine that most people enjoy and I think you will too. The benefits are amazing: from balancing your pH, to cleansing your liver and from aiding digestion to clearing your skin. Check out the video below to learn about the benefits of drinking WATER WITH LEMON each morning. In the comments below, tell me which one of these benefits is going to get you to try this morning ritual. Or, if you’re already a lemon water junkie, what specific benefits have you noticed? Is It Possible To Lose Weight In A Healthy Way Without Crash Diets? Can you lose weight in a healthy way without crash dieting? The Answer is YES! But Wait! If you’re looking for a way to lose a ton of weight in a few days, you are in the wrong place. Quick Fixes Don’t Work… And You Won’t Find Them Here! But, it is definitely possible to lose weight consistently in a healthy way. I’ve personally coached dozens of people through this process, some losing as many as 20 lbs. in 21 days (though the more typical results are 10 lbs. in 21 days). That’s 10 pounds in 3 weeks! IMPRESSIVE. Check out the video below to learn the 6 basic guidelines that have helped tons of people lose weight and feel great! Have you tried some of these before? Which ones have been helpful for you? Leave a comment below this video. Thanks! Is A Gluten Free Diet Better For You? Do you know what’s all the hoopla about gluten? Is it bad, is it not? Should I bother with a gluten free diet? Gluten is a type of protein found in processed foods made from wheat and barley. Today, you find gluten in a lot of processed and packaged foods. After watching the video, tell me: do you want to go gluten-free? Have you done it? What has been your experience? Leave a comment below this video. Thanks! Enzymes: What Are They And Why Should I Care? An integral part of a diet for optimum health is the consumption of fruits, nuts and vegetables in their raw form. Uncooked, raw and ripe fruits and veggies are full of live enzymes, vitamins, minerals, phytonutrients, fiber and much more. Do you know what enzymes are and more importantly, why are they important for you? Share this video with your friends all over the Internet.